A major factor in man’s ability to survive this long is his sympathetic nervous system (SNS), his emergency auto-pilot, because it is this system that overrides all others during the fight-or-flight, or startle response. 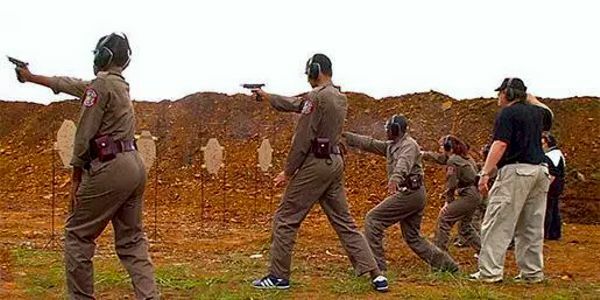 In this article I discuss understanding the necessity of training in the sighted shot as well as understanding the SNS rules for gunfighting. I grew up with guns, receiving my first airgun at the age of nine then graduating from .410 to 12 gauge shotguns and .22 to heavy centre fire handguns and rifles. Looking back, I realise that I always preferred “action” shooting to deliberate fire, anytime, (like many other “farm boys” all over the world) I gradually became reasonably skilled at point shooting. However, I always knew that if I only had one or two rounds and I needed to shoot something for the pot then I had to use my sights very carefully (if I could see them). 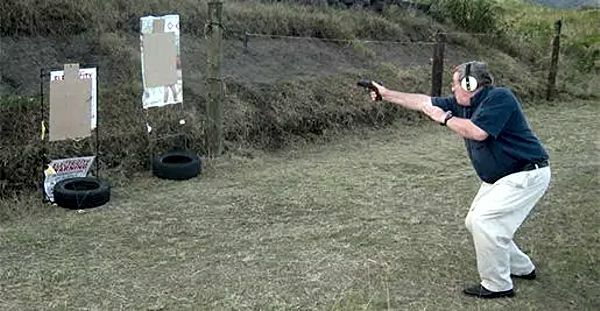 One of my jobs during a 25-year police career was to train my unit at the time, the South African Police Special Task Force in unarmed defensive tactics and handgun techniques. The unit’s chief gave us (the training section) carte blanche with regard to training methods as long as we got the results. All “expired” ammunition from police stations around the country ended up (via the quartermaster’s stores) at our unit. We were tasked to research and develop training methods using as much ammunition as we required. We regularly went to the range and fired sometimes up to three cases of ammo in a single day (In those days a military case of 9mm consisted of 1600 rounds). During this period (1976/1977) I personally fired hundreds of thousands of rounds with my issue Walther P38. It was often necessary to take a number of pistols to the range and rotate them when they became red-hot! Our ability to shoot instinctively was considerably enhanced by this experience. But no matter how much instinctive shooting I did, I always knew that given time, distance, light and/or cover, the sighted shot was always the better bet (if I could see the sights). In retrospect, I realise that another contributory factor was my involvement in martial arts (Kimura Shukokai Karate, to be specific). My sensei, the late Shigeru Kimura, emphasised using the body as a whole, rather than depending on the extremities. This obviously enhances “body point” skills and has given me another dimension of “combat” or “reactive” shooting to work on. Although like many others throughout the world developed an instinctive shooting ability, I was also like many others in the world unable to quantify this ability in order to teach it (Ed McGivern’s book, “Fast & Fancy Shooting” tells us very little on how to emulate his incredible feats!). However, now with the help of people like William Fairburn, Shigeru Kimura, Bruce Siddle, and many others. I think I have identified a consistent system of teaching instinctive shooting. Kindly note that I say “identified” rather that “invented” because when it comes to mortal combat, mano a mano, there is very little that is new under the sun and besides, too many gun writers and “combat masters” keep re-inventing the wheel and have an annoying habit of re-naming it after themselves. As trainers, in our enthusiasm to improve our teaching skills with guns and to earn a living we perhaps place ourselves in a situation where we cannot see the wood for the trees. The reason, I believe, is because we slog away trying to look for man-made answers and new mechanical solutions (new guns, sights, triggers, grips, stances, etc. when the solutions are in fact, very simple. All the fancy, “bigger-and-better” bells and whistles on the never-ending list of combat conversions will do very little to enhance a victim’s chances of surviving a spontaneous attack at close ranges (under two metres) which are the norm. The answer is not to be found in gun accessory catalogues or at shooting competitions. We must look to nature for the answer. If we pause a little, we will realise that anatomically-modern homo sapiens have been around for almost two hundred thousand years and his ancestors even millions more years before him. We have developed survival instincts and skills that have kept us around all this time, whereas many other species have become extinct because their survival skills were either inferior or non-existent. Apparently 95% of all creatures that once roamed this earth are now extinct!. 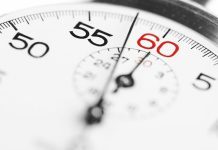 A major factor in man’s ability to survive this long is his sympathetic nervous system (SNS), his emergency auto-pilot, because it is this system that overrides all others during the fight-or-flight, or startle response. During this phase the human body suddenly undergoes certain physiological changes over which the subject has very little if any control (e.g. increased heart-rate, tunnel vision, loss of fine motor skills, vaso-constriction, etc). These well-known and scientifically-proven changes manifest themselves by causing the subject (inter alia) to face the threat squarely, go into a crouch, etc. 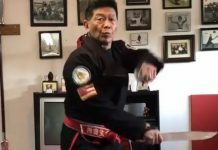 “In a place where the rate of violent crime is relatively low, a defensive tactics trainer may be able to get away with teaching BS because of the very remote likelihood of his pupils ever facing lethal danger. However, in a country like mine it would be nothing short of criminal! I often have students contacting me with details of harrowing brushes with death, to the extent that I take it very personally when one of them gets hurt. In South Africa we just cannot afford to take chances teaching dicey moves. ”I know that what is written here will initially be regarded as heresy by many of my friends and colleagues, having personally witnessed highly indignant and vocal resistance to it on the other side of the world! In 1998 I attended a three-day law enforcement combat shooting symposium in San Diego, California, attended by over 300 police handgun instructors (Col. Rex Applegate was scheduled as the opening speaker but suffered a stroke in the morning of the first day and died a week later). This event saw a contingent from LAPD vehemently (nay aggressively) defending the front sight/squeeze system to the exclusion of any other method. Now a number of years down the line I am told that their resistance to logical versatility has softened. When man fights with empty hands, he instinctively crouches. When man fights with a knife or stick, he instinctively crouches. When man fights with a gun, he instinctively crouches, because he is fighting — gunfighting! 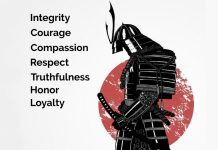 We can no longer exclusively teach upright stances and sighted fire to those who come to us to learn how to fight. Competition shooting is one thing and gunfighting is another. The two doctrines do not mix easily. The vast majority of recorded gunfights occur spontaneously in poor light, at close range and are over in two or three seconds. The defender is already coming second because he is reacting to an already-commenced action! In that type of situation, he had better make sure that he does not waste time looking for his front sight or he will continue to come second and probably end up on the undertaker’s slab! In short, the lack of time and distance in most spontaneous personal attacks precludes the obtaining of a sight picture. However, if the defender is not restricted by the constraints of poor light, time, distance and/or he has cover, he would be an idiot not to use his sights (if he can see them) because the availability of time/distance/cover would naturally take the element of urgency and the effects of the SNS out of the equation! 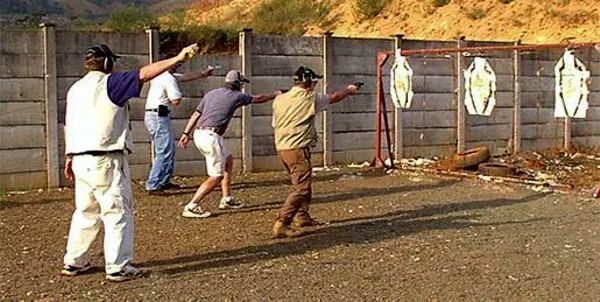 There are many instructors teaching the sighted shot and doing it very well. This skill is also necessary for gunfight survival but defensive tactics trainers need to teach a blend of both because when it comes to close, quick & dirty stuff, the SNS rules, OK? Simply put, the SNS has been protecting man for millions of years. So isn’t it time we stopped fighting it? It’s a case of: “If it ain’t broke, don’t fix it!” So, let’s teach the SNS rules for gunfighting. Comments by DS: Don taught me his SNS rules for gunfighting method and within a relatively short period of time I was hitting close groupings!